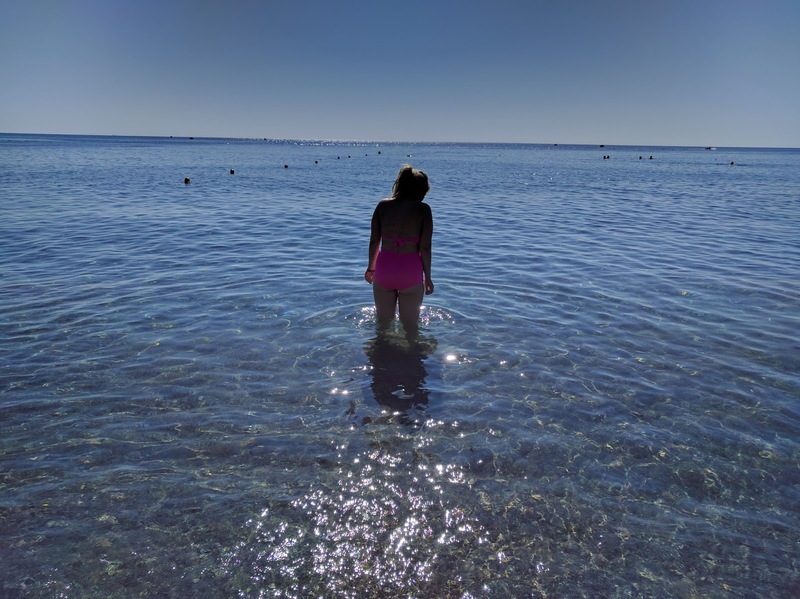 Holidaying in Rhodes: My First Trip to the Greek Islands! Last month, after three years without a proper holiday, me and my boyfriend jet-setted off to Rhodes for a week in the sunshine. To say we were in desperate need of a break was an understatement, and although it seems a bit like a distant memory now, it was exactly what we needed and I enjoyed every minute of it. The Greek Islands have always been somewhere I've wanted to explore - I've never been before, although I have spent hours on Pinterest re-pinning pictures of the stunning beaches, and so I thought it was about time I ventured onto Greek soil. After a LOT of research on Tripadvisor (seriously, I am one of those Tripadvisor-obsessors who has to read every review before deciding on a place) we booked to stay in Kiotari, just south of the lovely Lindos, at the Mitsis Rodos Village Beach Hotel. When it comes to choosing a hotel, I always have a few boxes that need to be ticked - it needs to be clean (obvs), with pools AND a beach nearby, and has to have good food (especially when it comes to good veggie options). This hotel most definitely ticked all of those boxes! It was a really lovely place - everyone there was super friendly and the traditional Greek-style decor was a nice touch, even if it's not what I'd usually go for. It had plenty of pools, a lovely beach just five minutes walk away and the food was AMAZING. We went all-inclusive (obviously) and I have to say it was the best all-inc place I've ever been to. There was pizza by the beach pretty much all day long, a creperie with the most delicious ice cream and crepes I've ever tasted, three a la carte restaurants as well as the main restaurant and pool bars. Needless to say, we ate A LOT. Rhodes itself was absolutely stunning. The sun shone every day we were there (something I was a bit worried about as it was late September! ), with the temperature being around 27-30 degrees most days. We stayed in Kiotari, doesn't have much in the way of bars and restaurants, but has a beautiful beach and quad-biking was just over the road from our hotel. 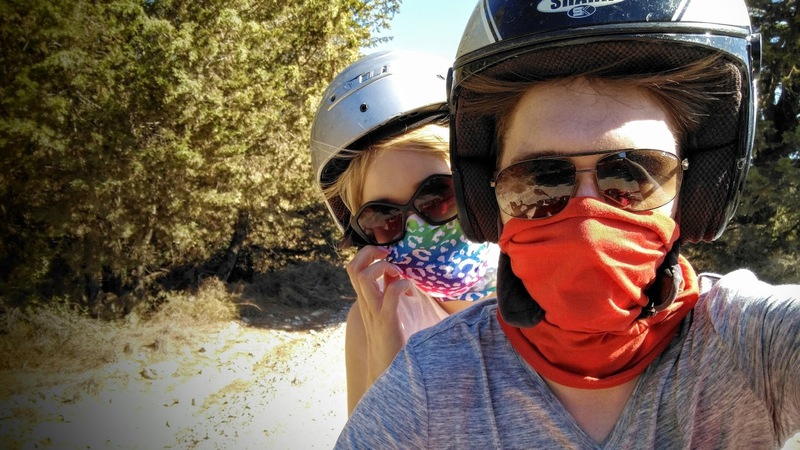 We went on a quad-biking safari the second day we were there and I can't recommend it enough - we got a chance to explore the island, feel the thrill of the quad-bike and see some serious hidden gems and unspoilt beaches too. On one of the days we ventured into Lindos, a place that my mum and dad used to frequent years ago with my two older sisters, and I'd heard so much about. We got the boat in which took around an hour and a half, but was totally worth it to take a look at the sparkling water and just relax and enjoy the view. When we stepped onto the beach at Lindos I was completely awe-struck - this place is seriously beautiful. The majority of the pictures you'll see above were taken there, as I just couldn't stop taking photographs of the bluer-than-blue sea and stunning scenery. We visited the Acropolis, took a wander around the little white-washed streets and had dinner in a lovely little Italian restaurant. We then took a stroll to St Pauls Bay (the gorgeous beach with the little white church), had a paddle in the sea and then headed home as it was seriously SO hot. I would definitely recommend going to Lindos if you're ever in Rhodes, as it is honestly one of the most beautiful places I've ever laid eyes on and I will most definitely be going back! The rest of our time on holiday was spent swimming in the sea, sunbathing to our hearts' content, eating ALL of the food, drinking and just generally taking some time out to relax. It was an amazing holiday and I cannot recommend Rhodes enough if you're planning a holiday for next year. Have you been to Rhodes? Let me know what you thought and if you have any recommendations!